The FLIR E6 features an IR Pixel Resolution of 160×120, Thermal Sensitivity Range <0.06°C, and a 4 hour interchangeable battery. Now Featuring MSX Technology. 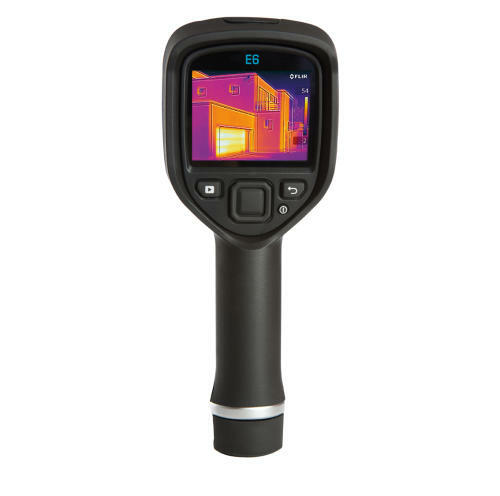 FLIR MSX Multi-Spectral Dynamic Imaging extracts the high-contrast highlights from the built-in visible camera’s image and then virtually superimposes the enhanced details onto the entire corresponding FLIR infrared image. This enhances the clarity of the thermal image making it easier to recognize key elements of the image and identify problem areas. Simply put MSX makes it easier to find, recognize, and identify issues.